At NPE 2012, Austria based ELMET Elastomere Produktions- und Dienstleistungs GmbH (www.elmet.com), a premier injection mold maker and full system supplier in Liquid Injection Molding (LIM) of Liquid Silicone Rubber (LSR), will for the first time be present via its newly installed local subsidiary ELMET North America. On stand 9145 the company will emphasize on its highly productive and cost efficient TOP 1000 and TOP 3000 Dosing Pumps and Systems. 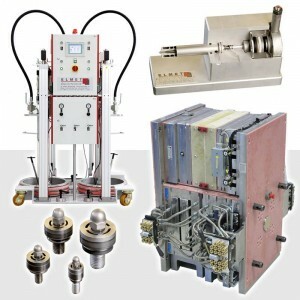 Beyond this ELMET will present its comprehensive range of products and services, extending from fully automatic high-precision injection molds, through electronically adjustable valve gate cold decks, to peripheral products such as check valves, diving nozzles, filter units, etc. ELMET’s recently introduced TOP 1000 Dosing Pump has been developed as an alternative to the proven, feature-loaded TOP 3000 Dosing System. Both versions operate pneumatically and are suitable for both 5 gallon (20 liters) and 55 gallon (200-liters) drums. Delivering a maximum output of 2.5 liter/minute at a 1:1 mixing ratio, they can admix up to 10% colorant. The TOP 3000 Dosing System relies on patented closed-loop control technology capable of providing constant, documented metering precision while consistently emptying almost 100% of product from both LSR drums. In developing the new TOP1000 Dosing Pump, the engineers aimed to combine reliability in rough day-to-day service with an attractive price. As a result, the unit is perfectly well suited for producing high-grade moldings for standard applications. Visitors of NPE can see ELMET’s TOP 3000 Dosing System in operation at Zeiger Industries’ stand 4373. As a special service, ELMET supplies supplemental low-volume (pilot) production runs to its injection molding customers where samples must be available at short notice. Beyond this, ELMET will offer LIM training courses on its proprietary LSR cold runner tooling, dosing, and processing technology on customers’ demand at its newly installed technology center in Lansing, Michigan. ELMET Elastomere Produktions- und Dienstleistungs GmbH of Oftering/Austria, established in 1996, is an internationally successful manufacturer of injection molds, valve gate cold decks, dosing systems and peripheral devices for processing silicones and rubbers. Including the staff of its ELMET North America subsidiary, the company employs more than 110 people.